I work at Purdue University, and I think one of the greatest gifts of working at Purdue University is all the great people I get to meet, specifically the great women that I get to meet. I hope that people don’t mind me talking good about them behind their back. Betty Nelson is the first person I have met who I would describe as larger than life. She’s a giant in this community. There are a few people out there who just have an amazing presence that at once asserts that this person is important but also that this person is very kind and supportive. 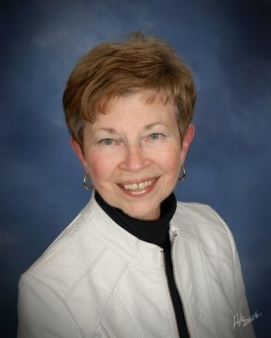 Betty Nelson was Purdue’s third dean of students in 1987-1995, after 20 years as an assistant and an associate dean. After she retired, she continued to be active in the community. Her nickname at Purdue was “the iron fist in a velvet glove”. I first met Betty Nelson through another excellent person I met at Purdue, Mike Piggott. Mike was interested in talking to me because he worked with another group, the Greater Lafayette Quality of Life Council, on which I now sit. At that time, Betty Nelson chaired the committee. I met with Mike and I expressed my desire through the course to make the community better. He said something like “You’ve got to meet Betty Nelson.” He suggested I meet up with her and the impressive Tetia Lee. The meeting was really validating for me to discuss many issues in the community. Betty Nelson was, and is, a tireless advocate for women. One of the first thing she said to me when I said I was teaching a course in Honors was how she was so impressed all the Deans and Associate Deans were women. I could talk to Betty Nelson all day. Betty is the sort of person with an eye toward implementation. She makes you feel supportive even when she is being critical because sometimes the best support is to help refine and strengthen your ideas. Betty told me of teaching that “rivers need banks” which I think is going to change the way that I structure final projects. Betty and I are both really interested in the Greater Lafayette. I think one of the amazing parts of Betty is how open she is to students. She really is always trying to understand young people and how to help them. Betty is an inspiration to me because she’s very good at directing the energy of others without really taking ownership or responsibility over their projects. This is something I have realized is very important as I increasingly move into the part of my career that is most focused on mentorship. In meeting Betty Nelson, I knew I had met a legend, even when I didn’t know as much about her story. She’s the impetus for this blog series of really excellent people. I met her and I just felt immediately so grateful for being at Purdue and having the chance to meet her. I hope someday I have half the passion and drive that she has!